As mobile devices continue to grow in popularity, desktops are no longer as important as they used to be. In fact, many people have completely switched to devices like the Surface 2 which provide enough power for image and video editing but are portable like a traditional tablet. 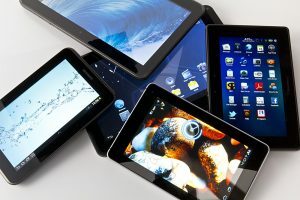 A new report from Gartner puts real data to this trend, showing that tablets will contribute the most to growth in the consumer electronics market this year. In total, PCs, tablets, smartphones, etc, will reach 2.5 billion unit sales in 2014, a 7% increase from 2013. However, tablets are projected to be up 38.6%, particularly in markets that were previously untouched by the devices. This means that consumers in North America are no longer the driving force behind the growth in the mobile devices market. Instead, areas in Eastern Europe, Asia, and Africa, are becoming very important for any company that wants to stay relevant. Mobile phones, which remain the largest segment of the devices market, will reach 1.9 billion unit sales, according to Gartner. That figure means that the market will be up 4.9% this year compared to 2013, continuing the trend that kicked off a few years ago. Breaking down the sector to specific companies, Apple’s relevance is shrinking when it comes to tablets, though a lack of new devices is likely the main reason for that. So, once a new iPad is introduced, Apple’s market share could shoot back up, but it is unlikely to reach the same level that it was at before Android became the most popular mobile OS. The 7% growth in the devices market is impressive considering the 6.6% decline in PC sales that Gartner is projecting. This means that tablets and smartphones are even more important than some had suggested, since they are selling fast enough to make up for a massive drop off in desktop and laptop sales. Question – Will PCs remain important for businesses or are mobile devices truly taking over? Summary: Gartner has released a new report showing a 7% increase in sales for the devices market this year. However, PC sales will be down 6.6%, meaning that tablets are smartphones are really picking up the slack.